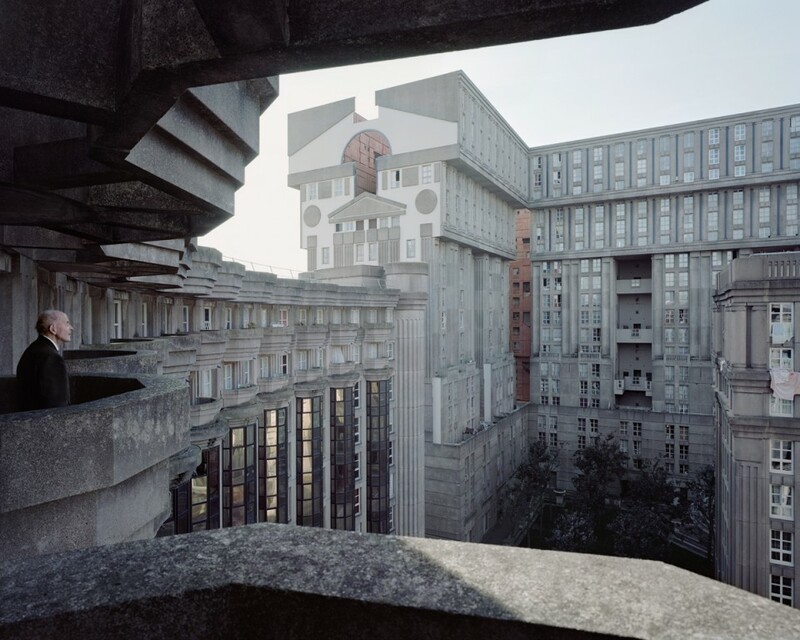 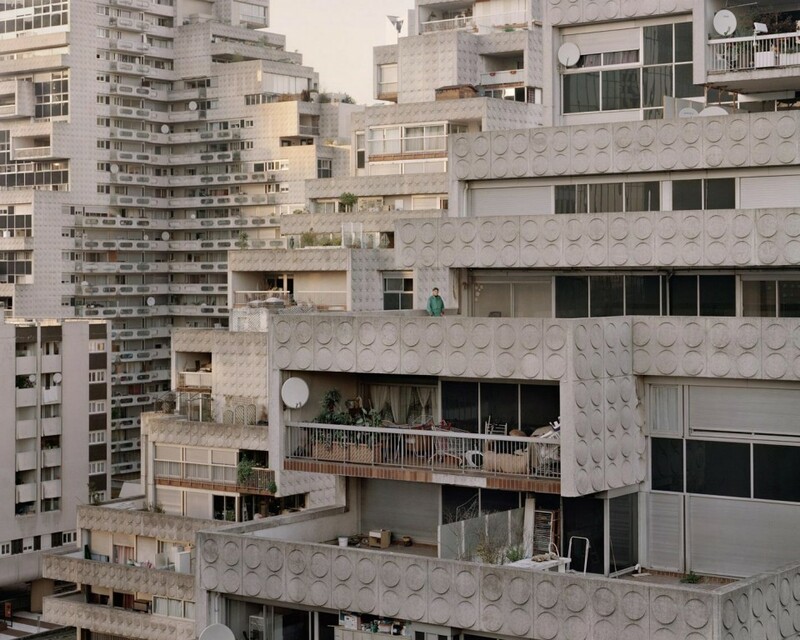 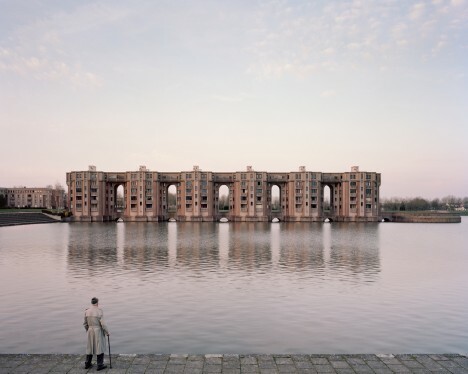 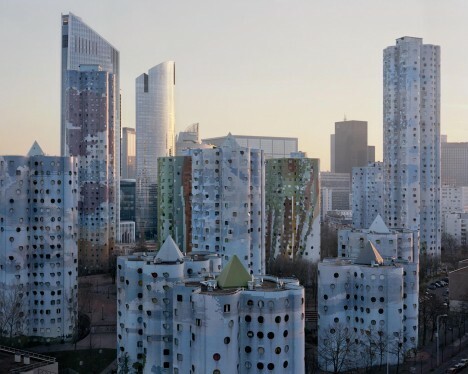 Dull gray concrete volumes stacked in irregular shapes stretch across the landscape just beyond Paris like a set from a dystopian film, dwarfing the mostly elderly residents who wander their halls. 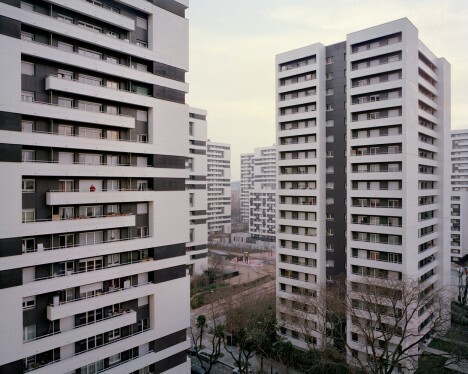 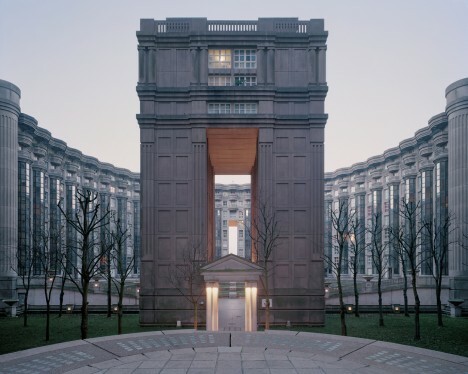 The ‘Babel-like’ housing estate known as Noisy-le-Grand began, in fact, as a utopian dream: a postmodern wonderland built between the ‘50s and ‘80s to welcome a migrant population of refugees from rural areas of France and other nations. 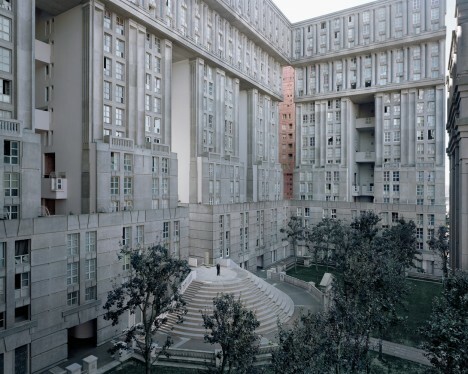 Standing in stark visual opposition to the gleaming glass and steel of Paris’ more modern architecture and all of its centuries-old Gothic grandeur, Noisy-le-Grand was envisioned as a counterpoint to the boxy white creations of Le Corbusier, which the architects deemed unimaginative. 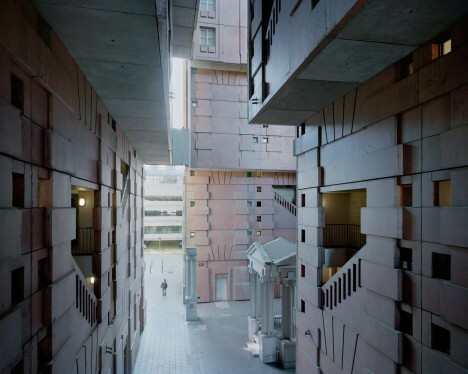 Ricardo Bofill and Manuel Nunez-Yanowsky designed the Espaces Abraxas and Arénes de Picasso with a postmodern sensibility. 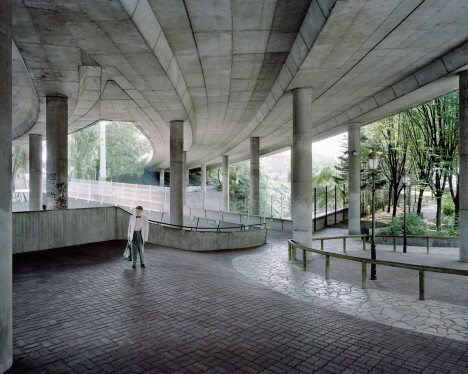 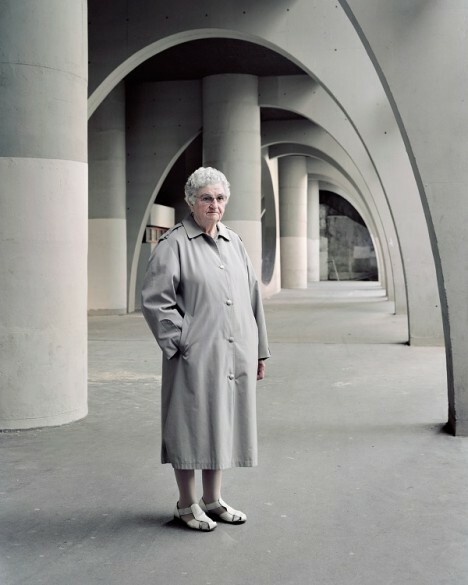 The fact that the residents of this strange suburb are almost all elderly reinforces the somewhat dystopian feel, especially when they’re photographed under vast concrete archways in this compelling photographic series by Laurent Kronental. 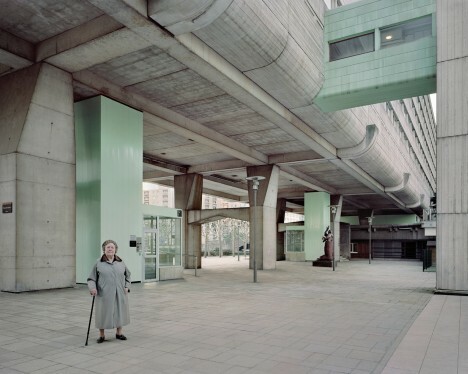 Their humanity and the warmth and personality of their interior spaces contrast against the coldness of the architecture.